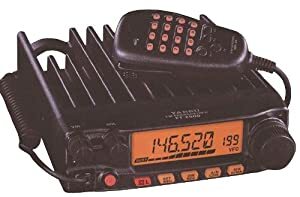 So it's been a few months now that I've been using my Yaesu 2900, and I decided it was time to post a full blown review. I believe I've used it enough to give a fair review of it, and so here goes. The speaker is on the bottom of the radio. If it is placed on a flat surface, this will greatly reduce the sound volume. Even just placing it on a wire has a huge effect in the amount of sound that comes out. The menu operations aren't really grouped in a logical sense. I would like to see the PL tone and the names grouped closer together, in particular. Still, it gets the job done. However, not withstanding, I would recommend this as a good starter radio, it's been fantastic for me!